When Dior announced Galliano would be exiting the brand, in 2011, the fashion world took a deep breath in and held it. Who would replace the man who had brought the Dior brand into the 21st century? Whatever your opinion of Galliano the man, there is no question about this human being as a talent and his brilliance was showcased from couture to ready-to-wear at Dior each season. How can that be recreated and who could possibly live up to that level of creativity? In April 2012, with just a few short months before Dior would showcase its couture runway, Raf Simons was announced as Galliano's replacement. No one knew what to expect. Here was a man who was probably most well known for his time at Jil Sander, where he delivered fantastic minimalist fashion. He was a man who could certainly cut a strong line, but could he dress a woman in the wonderfully feminine and extravagant form that Dior was famous for? The pressure was on. And ladies and gents, Dior saw an opportunity beyond just the catwalk. This was a time period that would make for cinematic magnificence. They filmed the whole thing, from terror to tears in Raf Simons' eyes, for the film "Dior & I." The camera for "Dior & I" is present for the moment Raf Simons meets his atelier at Dior right up until his triumphant debut as Dior's new mastermind, post runway glory. The movie strikes a delicate balance between fashion's pressures, the same pressures that eventually threw Galliano over the edge, and the beautiful moments of madness that lead to fabric swishing success on the catwalk. One does wonder if "Dior & I" isn't in someway a movie that showcases how designers are held on such high pedestals and what a delicate balance one must achieve in one's life to succeed in such a pressure cooker. Of course it isn't all glory days. Naturally, it was expected that Raf Simons would come out as the star of the show, seen in only the most exceptional light. But, instead you are shown all sides of this beautiful mind, both good and bad, and you'll come out the other side appreciating what an exceptionally talented artist we have supplying beauty in fashion today. 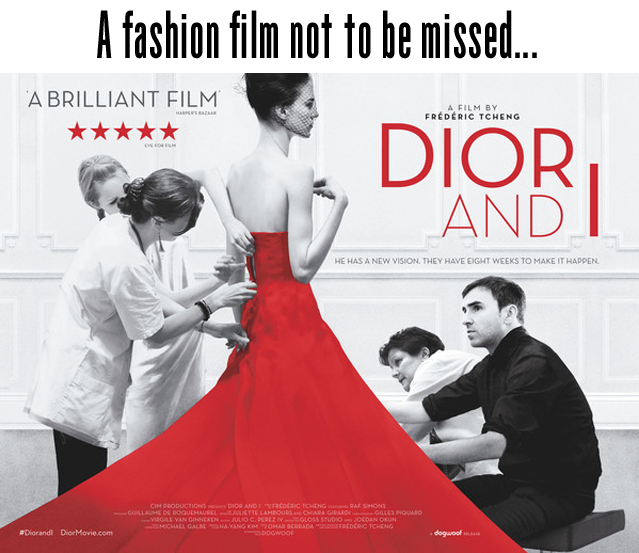 Sitting down to watch "Dior & I," I must admit I initially was interested because of the intense pressure Simons must have been under to create an entire couture collection in only eight weeks. But, I found myself tearing up several times during the movie (and was very glad to be watching it at home alone solo on Netflix because of it). Somehow this movie restored my faith in the world of fashion. It's easy sometimes to get very disillusioned with the industry. Fast fashion truly rules the roost and "keeping up with the Joneses" seems to dictate most people's buying habits these days. More and more I find we are moving away, as an industry, from the art in fashion and concentrating more on the financial rewards associated with the trade. Depressing isn't it? Well, if you need a sort of wake-up call, on a screen, to the sort of beauty and power that goes into forming a collection - a collection that will influence everything around it, including the fast fashion we all consume daily- then watch this movie. I rarely, if ever, write film reviews. But, moments after watching "Dior & I," I felt renewed and excited about the industry I work with. 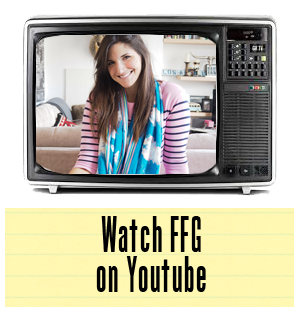 I sat down and wrote notes, wrote a journal entry in fact and decided I had to tell you to watch this immediately. I haven't felt that for some time and as I switched off the tele and put down my pen, I did wonder if I shouldn't start saving for the couture experience. Oh wait, maybe the TV had turned my brain to complete mush - we're talking hundreds of thousands of dollars here. So, yes, I realise it's out of most people's yearly (if not entirely life) budgets, but so are most Picassos and Da Vincis. Perhaps, let's just sit back and take in the beauty from afar. This is, quite simply put, one of the best movies about fashion that I have had the privilege to watch. Rent it, stream it, consume it. You'll never look at the world of fashion the same again.